ECO-CENTRIC ART + SCIENCE: Prophesies and Predictions is an open-mic marathon symposium featuring artist and author in residence Linda Weintraub, nanoscientist James Gimzewski, evolutionary biologist Charles Taylor, environmentalist and author Ursula Heise, curator Sophie Lamparter, nano-toxicologist Olivia Osborne, and media art graduate students David Ertel + Symrin Chawla. Spring artist-in-residence and author, Linda Weintraub’s forthcoming book: “WHAT’S NEXT? Eco Materialism and Contemporary Art” provides the opportunity for professors and students from multiple academic disciplines to share their predictions of the way ecology will impact the theory, practice, insight, re-evaluation, or revision in their discipline in the coming years. Come whenever you can. Stay as long as you wish. Share your thoughts, too! ECO-CENTRIC ART+SCIENCE WEEK at UCLA Art|Sci features artist-in-residence Linda Weintraub. 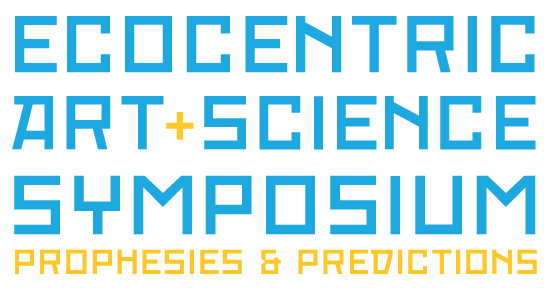 During this exciting week centered around the environment, art and science, Linda returns to the UCLA Art|Sci Center for several days of eco-centric events, including a lecture involving her forthcoming book, open workshops and a can't-miss open-mic symposium. Linda Weintraub is a curator, educator, artist, and author of several popular books about contemporary art. She has earned her reputation by making the outposts of vanguard art accessible to broad audiences. The current vanguard, she believes, is propelled by environmental consciousness that is not only the defining characteristic of contemporary manufacturing, architecture, science, ethics, politics, and philosophy, it is delineating contemporary art.